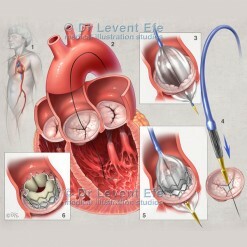 Medical illustration displaying the difference between two devices treating sudden arrythmia in the heart: Subcutaneous Implantable Cardioverter-Defibrillators (S-ICD) left, and Transvenous ICDs, top right. Subcutaneous device delivers enough energy to defibrillate the heart without the need for a lead within the heart. SKU: CT06. Category: Cardiothoracic (CT). 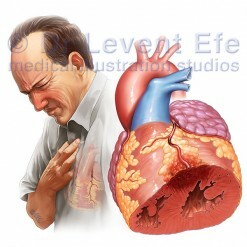 Tags: arryhtmia, cardioversion, cardioverter, defibrillator, ICD, pacemaker, PulseGenerator, S-ICD, subcutaneous, transvenous. 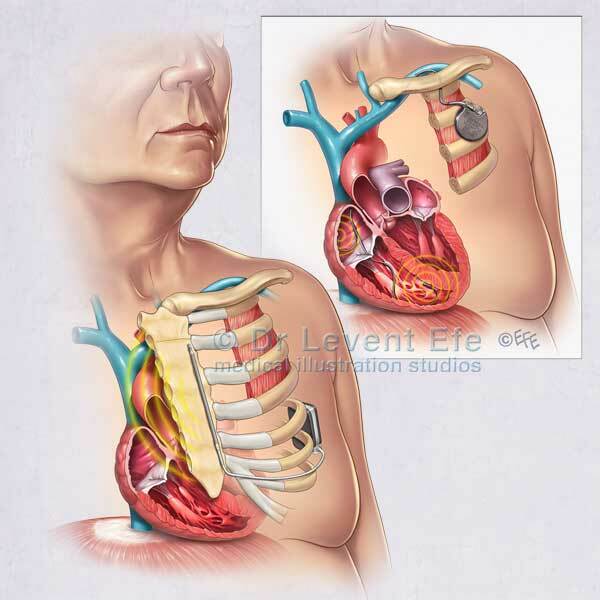 Implantable cardioverter-defibrillators combine a cardioverter and a defibrillator into one implantable unit. The traditional Transvenous unit, pictured top right, detects cardiac arryhtmia and corrects it by delivering an electrical impulse to the heart. 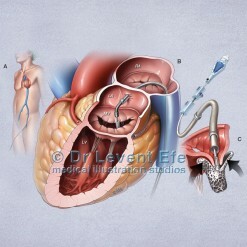 The unit has electrode wires that are lodged in the right chambers of the heart. 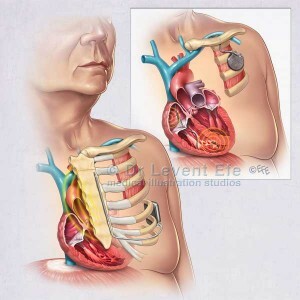 The Subcutaneous ICD, pictured left, delivers energy without touching the heart. The Pulse generator is placed under the skin on the chest. 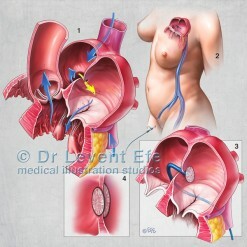 The illustration is ideal for educating patients about the two options available in treating sudden arrythmias.